Copyright © TaTaWars, TaTaWarrior, Amy Brock 2013-2015. All rights reserved. Powered by Blogger. Episodee XLI - Life is, in fact, a battle. I woke myself up super early and prepared myself for treatment. I took a quick shower (especially fast considering I still have almost no hair) and put numbing cream all over my port area with tired eyes. Then I ate a small bowl of bland cereal to help prevent major nausea from chemo. Afterwards it was still early enough for me to start my "normal" routine, meaning get the kids up and ready for school. 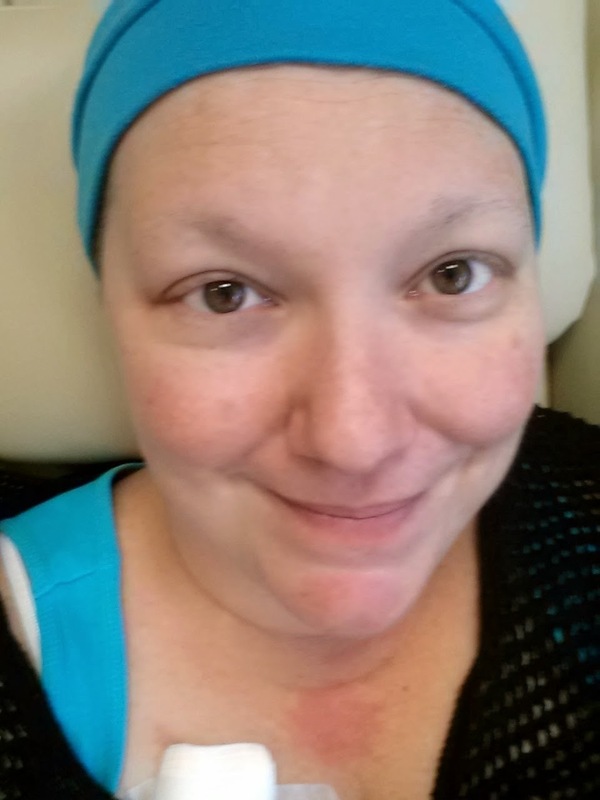 Going into treatment has only gotten more difficult. I am dealing with last week's side effects. I am still dealing with a cold. 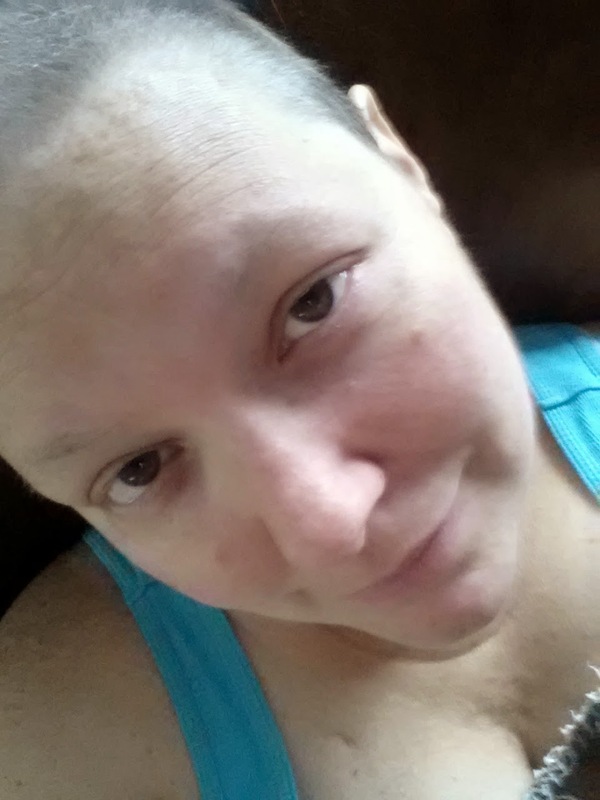 As each treatment builds, I never seem to fully recovered from chemotherapy, but here I go again. 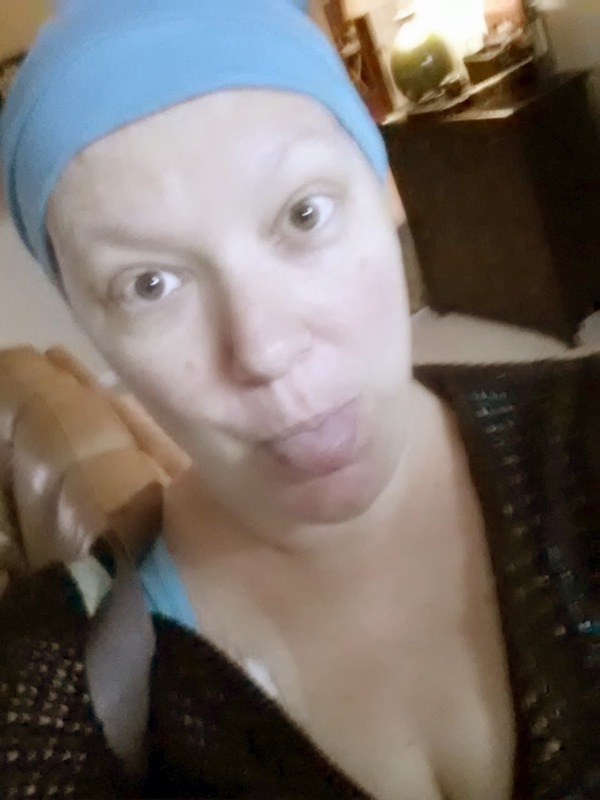 Attempting to keep my humor before treatment. So, I had gotten some flowers for the nurses in the back - the nurse's who handle all the medication in the treatment area. I have found that their good humor and good care were often under-appreciated by us patients. I see patient after patient living in such difficulty that they were probably unaware of the simple kindnesses of our nurses. Often we can be so wrapped up in our own pain and I want to make sure they know that I was thinking of them too. 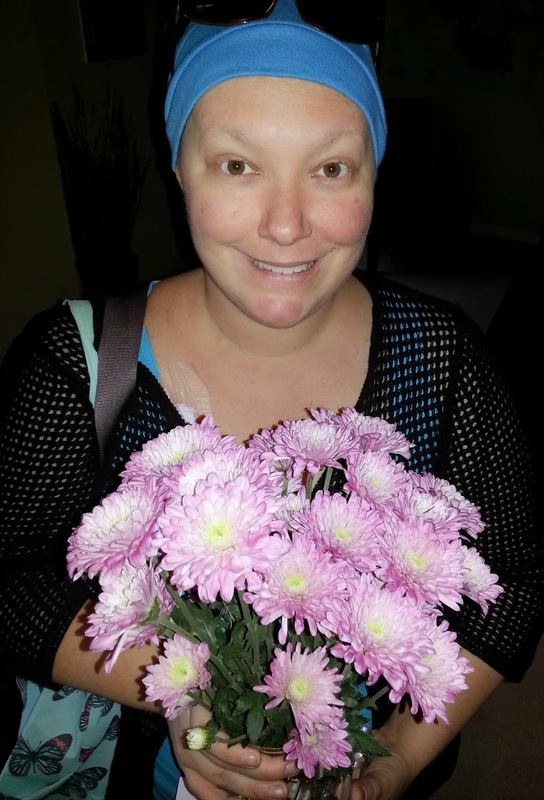 Flowers for my chemo nurses! Even though I was not scheduled for to see anyone, it seemed my constant state of illness warranted a nurse practitioner visit. So, I made my way through blood work and waited for my surprise visit. Of course I was not expecting to see anyone in the front, so I had not brought anything for the wonderful staff. I was planning to do that in a few weeks. However, I love the fact that they had no issue letting me know what they liked... lemon-filled doughnuts & popcorn! I know what to get for them now!!! As for me, I got a quick check and a quick talk. My lymph node was still swollen. It would probably remain that way for a while. That once I caught a cold, I was probably going to hold on to it longer due to the chemo and affects of chemo. As always - my blood work was great! Even though I have been fighting colds and feeling rough, my blood work seemed to always hang in there. I have tough blood!!! 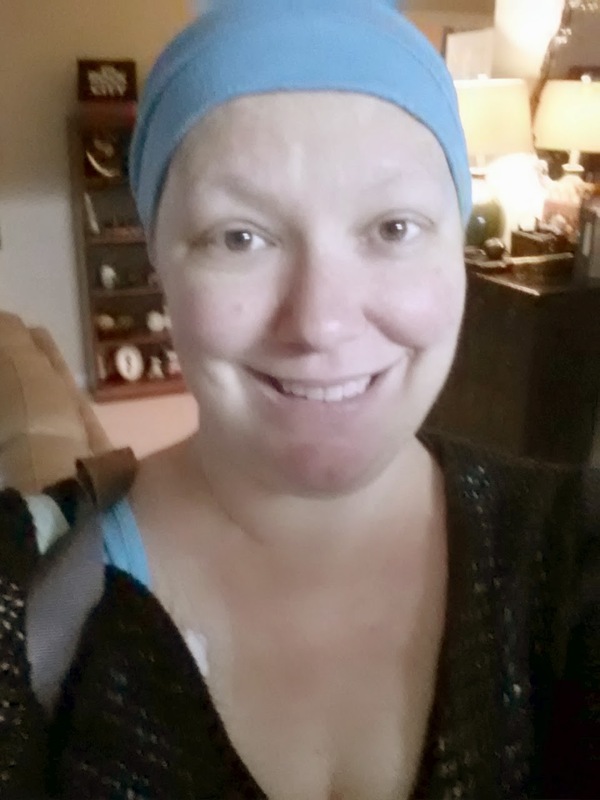 I went through my normal treatment... me, a comfy chair, warm blankets, great chemo-buddy conversation, and drugs. Not necessarily in that order!! The side effects from treatment have continually changed. They have been not recently been multiplying, but intensifying. I should not say that as I am now bound to get something new!! I spent the rest of the day feeling horrible... something that was not a surprise! Of course it would not be my house if something did not go crazy. My daughter had gotten a high fever the night before treatment, the day of treatment, and was required to be at home on the day after. Oh yeah - I am probably going to catch that too!!! Even though I was exhausted, sick, and wanting to be selfish, I spent my time tending to her as well. At least I had some extra food from my chemo lunch to microwave! The week after treatment I get up, get the kids ready, and drive them to school. The major goal of those trips was to not vomit on myself. Something I have been successful at so far. Usually there was a point at one stop light where it always seems to be a questionable. Sometimes I add not to urinate or have diarrhea as additional tests of my strength. It was like I was trying to avoid the idea of the messiest trifecta ever! I was in an appreciation mood. 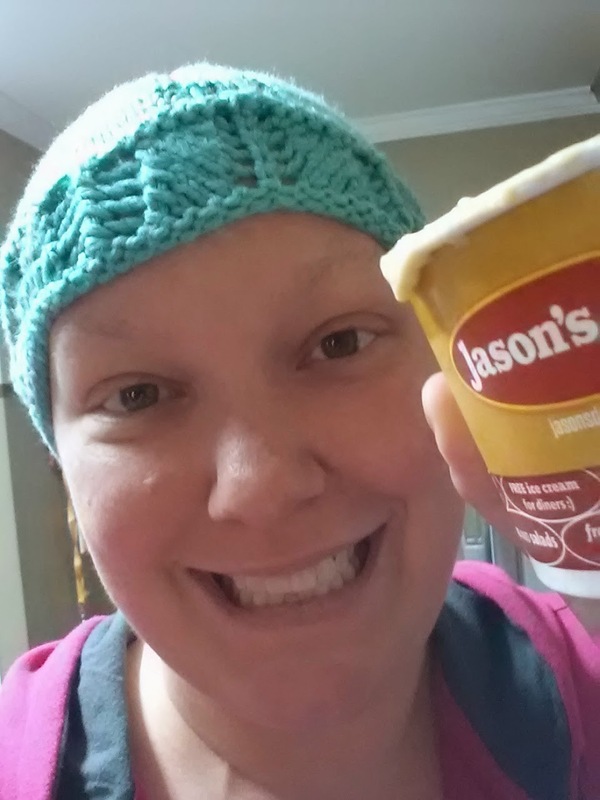 After treatment, I had to tell my friend how much she has meant to me during my treatments. I wanted her to know how wonderful it was that she was there for me and how much it truly means. When you go through something so personal with someone there's a special bond created. We spent hours every week sharing our lives with each other. I have not done something like that with a friend in ages, especially since I have had children. I felt fortunate to hear about her life. I felt fortunate to share my life with her. I felt fortunate to see the care and worry in her eyes while I am going through treatment. I knew that she was there because she did not want me to be alone. I knew she chose to be there for me. I knew I was lucky to have her as a friend! I feel so lucky to be blessed and surrounded by wonderful friends and family. Since I usually feel bad and do not express it, I often feel I am not saying thank you enough. Plus, there are too many to even write about. From regular mail and gifts from family living away, to family traveling in during rough weeks, to meals cooked with love, to love and thoughts of encouragement - I am so fortunate. Even though I have not expressed it enough or to everyone, thank you!!! Next week is my "bad" week. The past two have been pretty rough, so I have no idea what I am really in for. 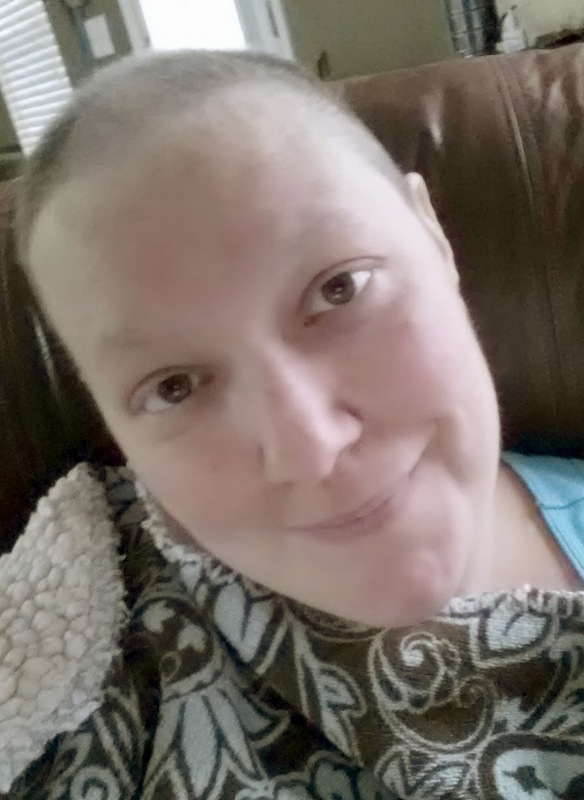 The accumulation of chemotherapy has created a whirlwind of physical issues. Those physical pains can really affect the emotion well-being. I spend a lot of my time trying to manage the physical pains and convince myself that it could be so much worse. And it could! No doubt, it is not easy. I am tired. I am sick of being sick. I am ready to feel good. However, I still know it could be so much worse. I am fighting to get better. And I will laugh at this (well, some of it)!!! "Life is pain, highness. Anyone who tells you differently is selling something." "Life is, in fact, a battle. Help Me, TaTa Warrior. You're My Only Hope. Contact Amy Brock for permissions beyond the scope of this license. Episode XCI - move along just to make it through Well crap... I am off to do a biopsy!